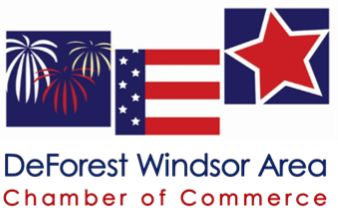 The DeForest Windsor Area Chamber 4th of July parade is a tradition of the community celebration. Many people come to see the parade participants. We are honored to have our Veterans, American Legion, color guard and our local Police, Fire and EMS units lead the parade. We are proud to have Village leaders and area businesses participate. We enjoy having the high school band, spirit squads and sports teams, along with youth groups, sports organizations, churches, local vintage tractors and classic cars. Register your group in the 4th of July Parade! Parade Line-up: Line up will take place in the high school parking lot. You will be assigned a line up space based on the order in which your entry & payment was received. We will contact you NO EARLIER than one week prior to the parade with your line number and specific instructions for the day. Only one vehicle allowed in parade per entry! Golf carts are not allowed. Parking: FOR SAFETY of parade participants, Only vehicles in the parade will be allowed in the DAHS parking lot! Drop off: There will be a designated Drop-Off site for those taking part in the parade. Further instructions will be sent with registration confirmation. For the safety and enjoyment of ALL, NO STOPPING will be allowed during the parade! If interested in performing for the crowd, please sign up for our FREE Family Stage! Registration available online or send in payment with form.